Beaded snowflake ornaments look lovely when adorned on your Christmas Tree. You can also use them to decorate gifts or hang on your windows. 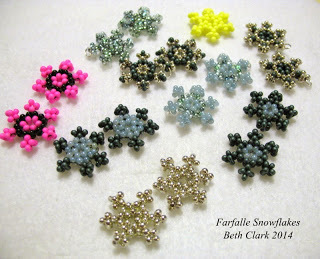 Time to craft some lovely beaded snowflake patterns with easy step-by-step instructions given in the tutorials. All you need to do is click on the titles to go to the tutorials. 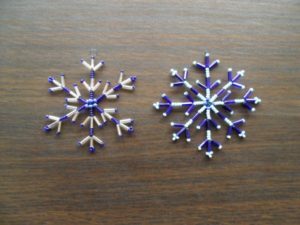 Very intricate and elegant snowflake design made with seed beads. Some basic supplies are needed to make this pattern. 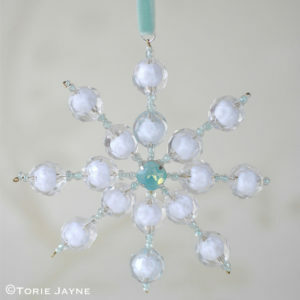 You can buy a beaded snowflake kit if you want! 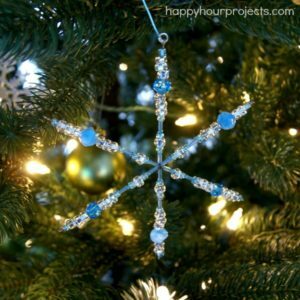 Wonderful colored snowflake patterns to decorate your house! Try making one today at with simple instructions! 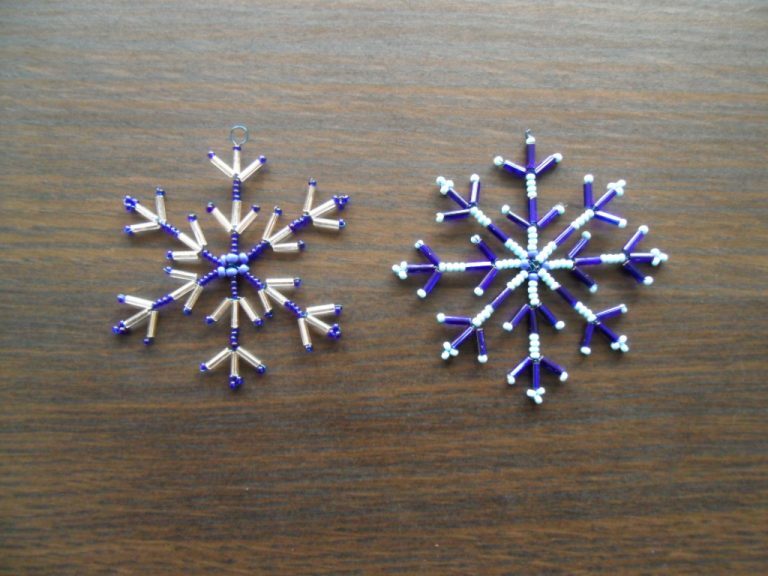 Handmade beaded snowflakes are adorable! This Christmas make some elegant snowflake ornaments to adorn your Christmas Trees this festive season! 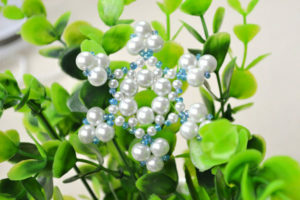 You can use beads or pearls as used in this tutorial. The step-by-step instructions given makes it simple to make this design. These white small seed bead snowflake patterns are ideal for decorations or to be made into earrings. Easy and quick to make this design is very elegant! This video tutorial explains everything in details. 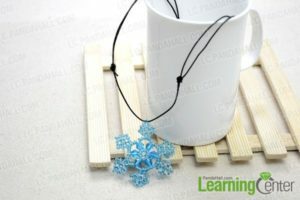 Time to make amazing snowflakes with beads and wires and hang them around your house this Christmas. 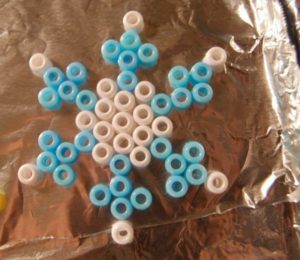 Making snowflake patterns with beads is very interesting and fun! 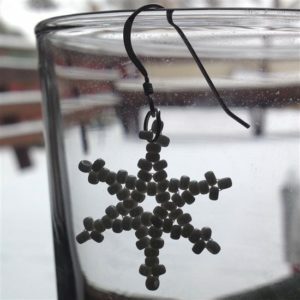 You can make beaded snowflake earrings, necklace or pendants! This pattern is very detailed and intricate and will look beautiful as decoratives! 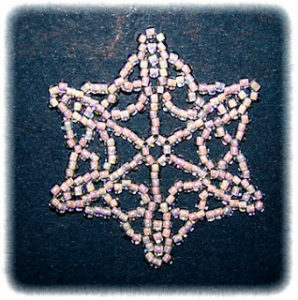 Making crystal beaded snowflake designs for Christmas Ornament or jewelry is a wonderful idea! The pattern in this tutorial has detailed instructions with Pictures so that you can follow easily. Using 2 different colors of beads adds elegance to the snowflake pattern. 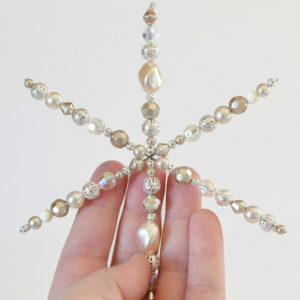 You can use this to adorn as showpiece or ornaments this festive season! 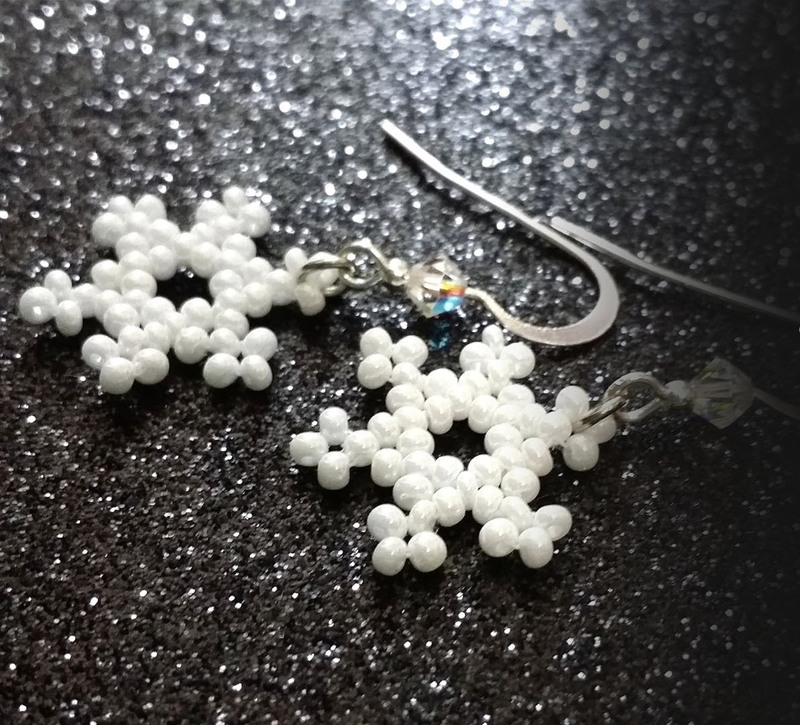 These small beads make it look neat and intricate! You can hang these snowflake patterns and beautify your home! 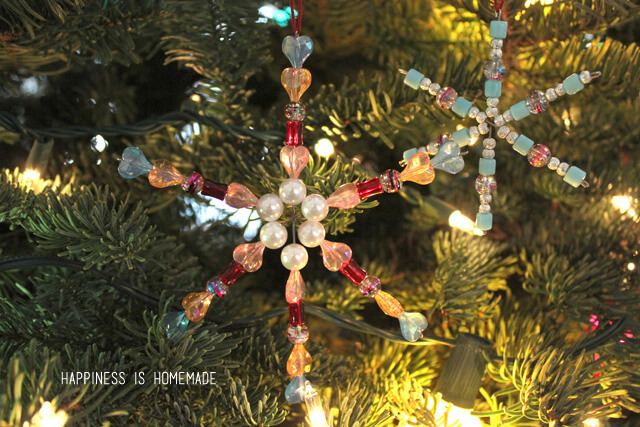 Some beads and some wire are all you need to make this design! 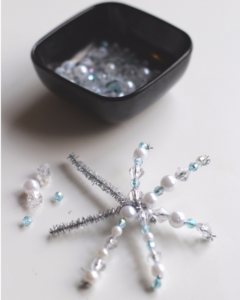 Indulge in some creative crafty time with your kids this holiday season and create these beautiful beaded snowflakes. The design and combination of colors make it look vibrant and amazing! Use some simple pony beads to make this snowflake design with kids! 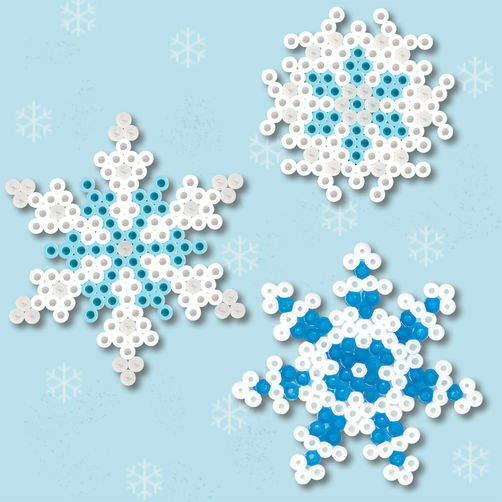 Make this creative snowflake designs and amaze your friends! You can use beads of different sizes and shapes to make it look unique! 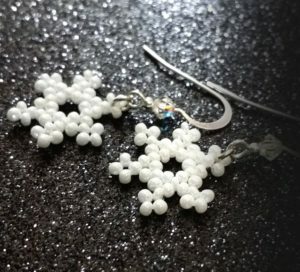 The idea to turn a beaded snowflake in earrings is wonderful. Try making this and get compliments!